Pregnancy can be tough, especially in the final stages. Everything is blotched, thick and puffy—from your knuckles down to your toes—and nothing, aside from birth, can relieve that kind of discomfort. Different people have different ways of dealing with it. While some moms try to exercise and do yoga to help them deliver the baby sooner, this mom-to-be tried something totally out of the box. Tired of waiting, she served a legal eviction notice to her unborn baby and interestingly enough, it worked. Now that’s definitely a first! "You have committed a nuisance because: Mummy is uncomfortable and running out of room for you," read her eviction notice for the baby. 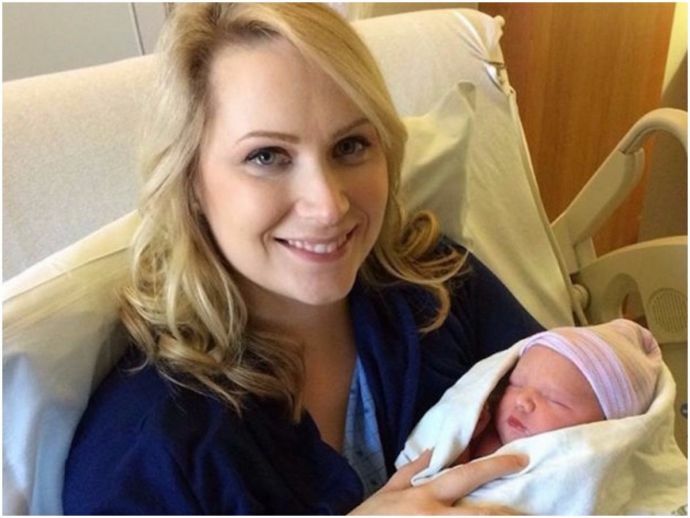 Kaylee Bays, from Utah, US, was pregnant with her third child when she began to experience labour pains on October 16, reports Bay Today. The pains, however, soon stopped. “The court workers and I would all make jokes about the baby staying in forever,” she said. And as her due date drew near, Bays also experienced a day of on-and-off contractions—but with no result. “After contracting all day, they just stopped!” she exclaimed. She went back to work to her job as a judicial assistant at the Fourth District Court in Provo and jokingly asked Judge Lynn Davis to serve an eviction notice on her baby. He did. And It worked. Less than 12 hours later, baby Gretsel was born, the Daily Herald reported. Bays said Davis told her it was his first baby eviction notice in his 31 years as a judge. "He told me, 'If it really works, I want it framed.' It did, and I'm going to frame it for him," Bays said. Bays said the eviction notice gave her baby three days to "vacate the premises." “She came 12 hours later. So far, she’s a good listener,” she joked. “She didn’t want to be in contempt of court.” Now that's an obedient baby!